Hello all!! I can't believe it's been so long since I've posted nails! I'm super excited to bring Manicurator back with this fabulous Winter collection from KBShimmer! Life got topsy-turvy for me and I needed to take care of myself and my boys for these months. A few changes in the routine to keep us on our toes, right? I've moved back to NYC, met my first nephew (my brother and sister in law's first baby!) and recently met my second nephew (my sister and brother in law's first) who gave us a scare by coming out too early. We are all ok now and adjusting to the changes! As I age, I learn that change is the only constant and how you handle the change is sometimes the only thing you can control. I appreciate all who stuck around to see if I'd be back! And everyone who posted or messaged me sweet support I'm truly grateful! Of course I had to start with Blue Topaz, because I'm a December baby! A note on formula and application. All of these were swatched with KBShimmer Basic Training base and 2 effortless coats. I found the formula for all of these to be nearly identical..and perfect. Top coat is KBShimmer Clearly On Top for all swatches. These are ALL just fantastically sparkly, in a grown up way. Blue Topaz- Blue Topaz is an icy blue polish with metallic flakes. A hint of holographic dust adds sparkle and shine to this polish. With two coat coverage, this will be a must have for December babies. Black Pearl - Black Pearl is a dusty black toned polish with holo sparkle. 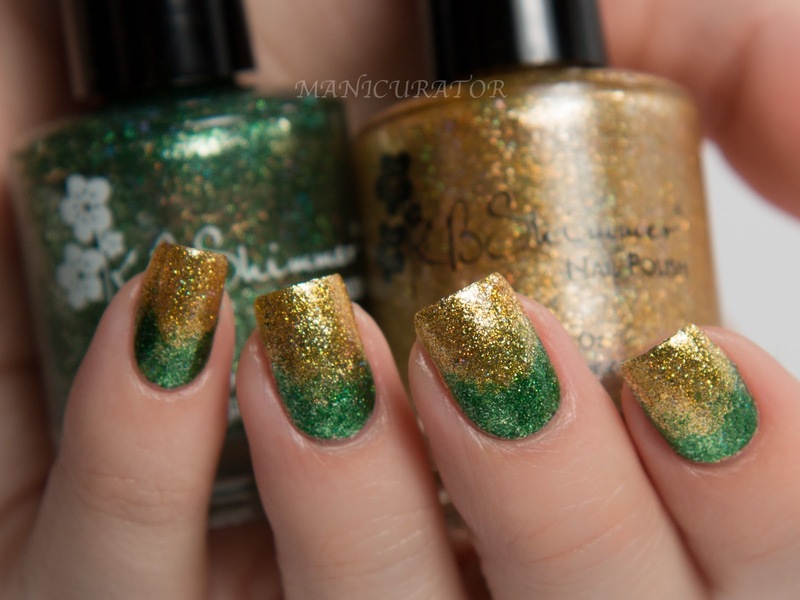 It is loaded with metallic flakes that take on a golden hue giving this this polish a warm blackened green look. With two coat coverage, this will be a must have for June babies or pearl lovers. I used KBShimmer nail vinyls to create the snowflakes! 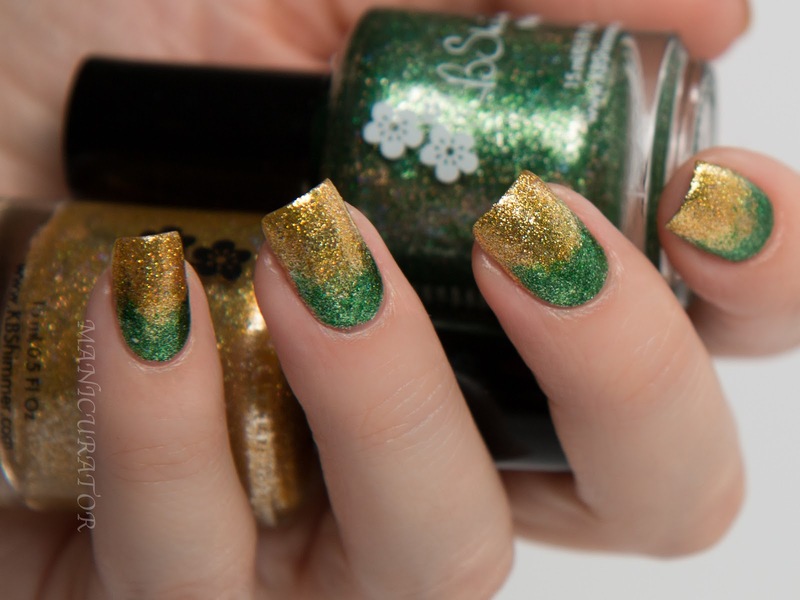 Emerald - Our Emerald is a rich grass green polish loaded with metallic flakes. 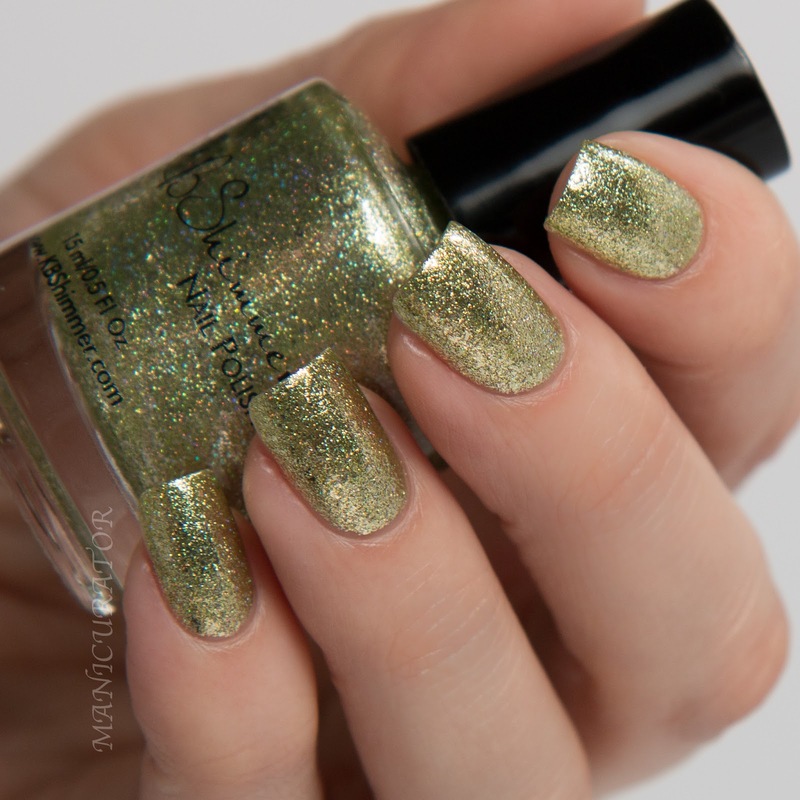 A hint of holographic dust adds sparkle and shine to this polish. With two coat coverage, this will be a must have for May babies. Citrine - Citrine is a golden yellow with metallic flakes. 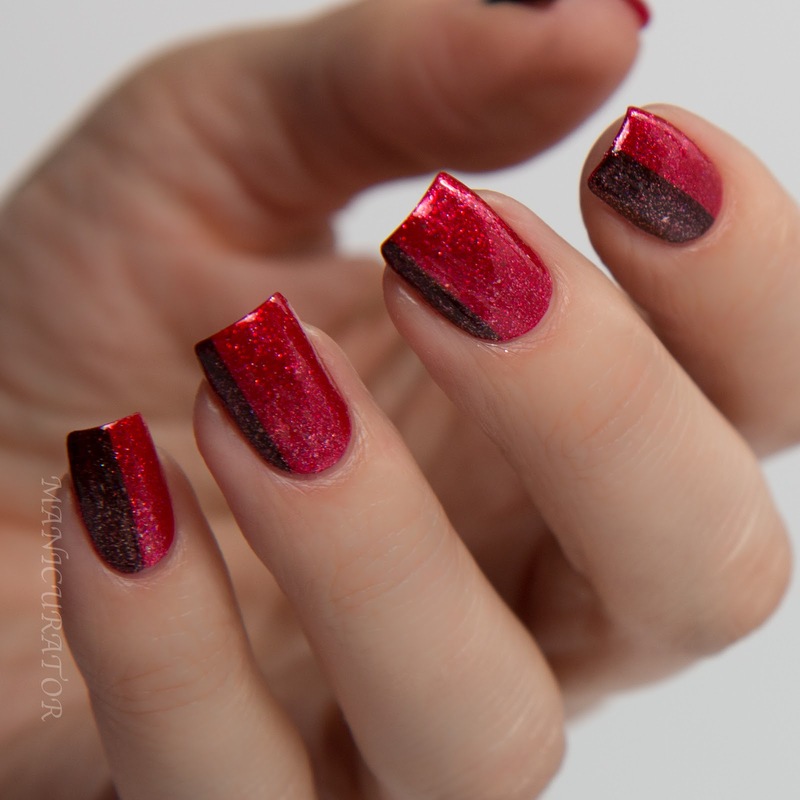 A hint of holographic dust adds sparkle and shine to this polish. With two coat coverage, this will be a must have for November babies. 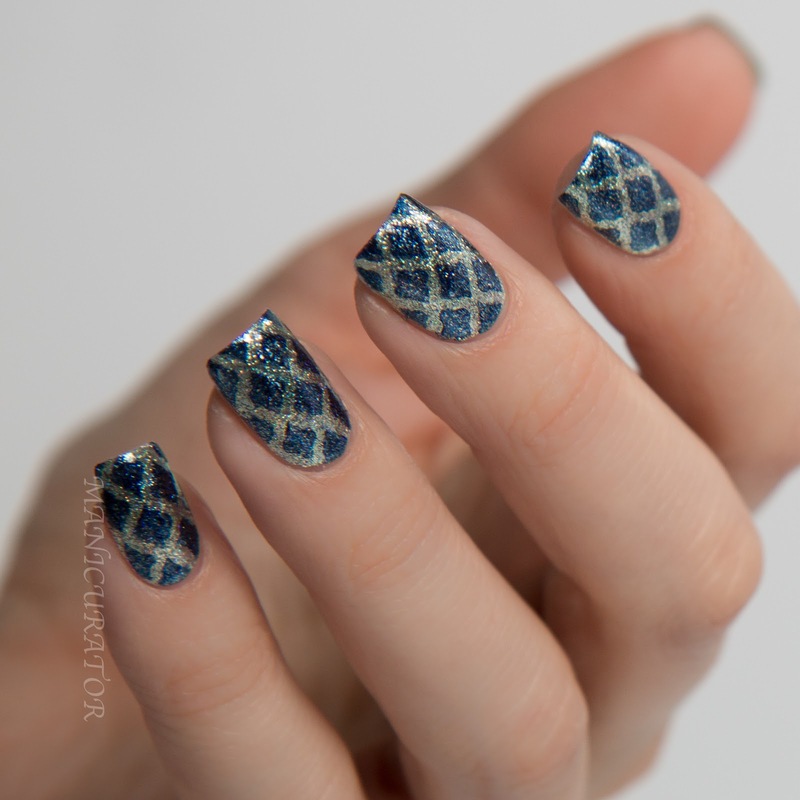 Diamond - Diamond is a pale silver polish loaded with metallic flakes. We amped up the holographic dust to max out this polishes sparkle and shine. With two coat coverage, this will be a must have for April babies. Pink Tourmaline - Pink Tourmaline is a vibrant pink loaded with metallic flakes. 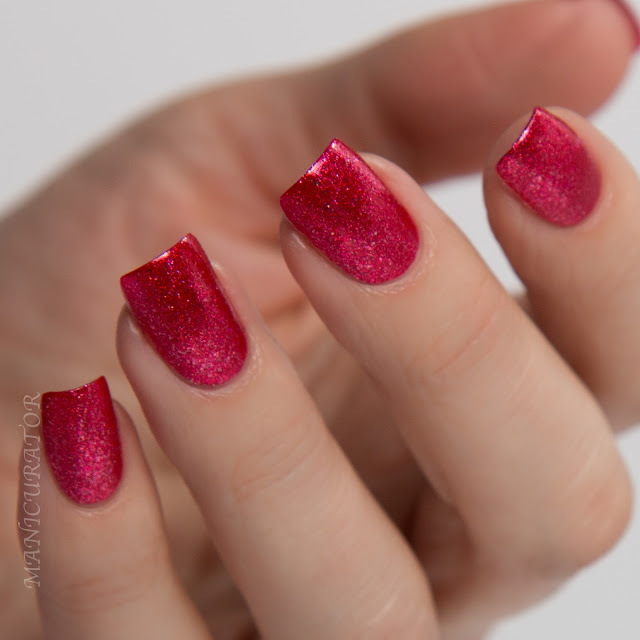 A hint of holographic dust adds sparkle and shine to this polish. With two coat coverage, this will be a must have for October babies. 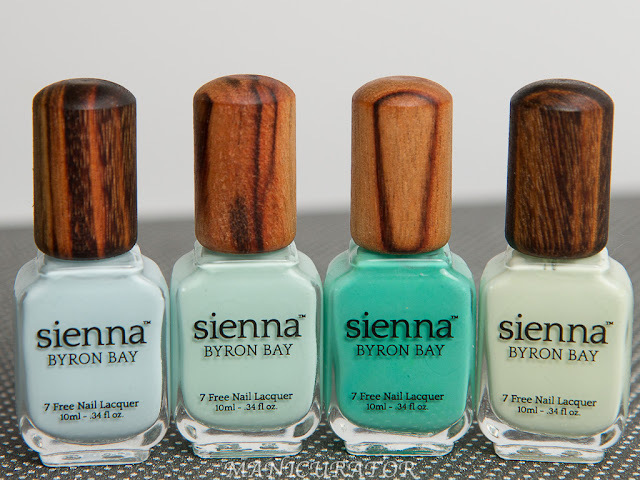 I am not really sure I can single out favorite shades for this collection as I found myself loving each one more than the next! I did however, not want to take off this pretty pinwheel nail art! Aquamarine - Aquamarine is a pale blue polish loaded with metallic flakes. 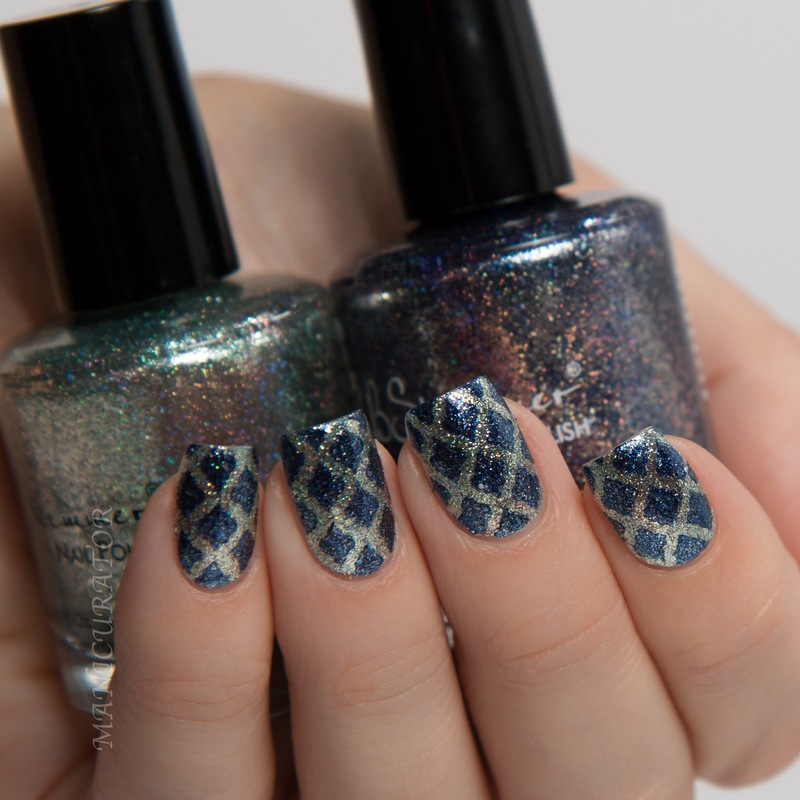 A hint of holographic dust adds sparkle and shine to this polish. With two coat coverage, this will be a must have for March babies. Sapphire - Sapphire is a rich navy leaning blue loaded with metallic flakes. A hint of holographic dust adds sparkle and shine to this polish. With two coat coverage, this will be a must have for September babies. Peridot - Peridot is a pale lime green loaded with metallic flakes. A hint of holographic dust adds sparkle and shine to this polish. With two coat coverage, this will be a must have for August babies. Amethyst – Amethyst is a rich red toned purple loaded with metallic flakes. A hint of holographic dust adds sparkle and shine to this polish. With two coat coverage, this will be a must have for February babies. 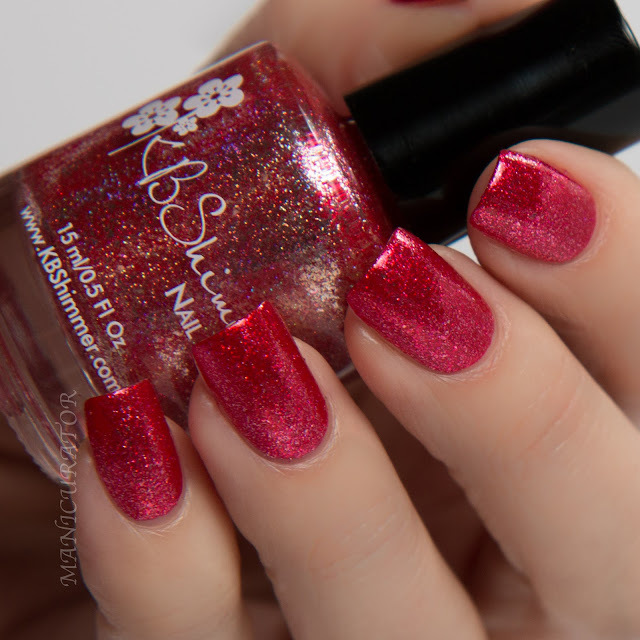 Ruby - Our Ruby polish is a warm blue toned red loaded with metallic flakes. A hint of holographic dustadds sparkle and shine to this polish. With two coat coverage, this will be a must have for July babies. I do want to point out, if you haven't heard from other reviews..these do leave behind some of that fantastic sparkle/glitter on removal. It's not a deal breaker for me by any means, it just means you need to add a little extra clean up into the routine. I use my nail brush to help scrub off the bits. Birthstone Promo – 12 lucky buyers will win a birthstone jewelry piece purchased from JewelryTV. For each month’s polish purchased between 01/01/2016 and 01/08/2016 grants you a chance to win a corresponding birthstone jewelry item as pictured in the listing. Contest open to purchases made on KBShimmer.com only. Contest items cannot be exchanged for different sizes or prizes. Example, purchase a Garnet polish and have a chance to win the garnet necklace as show in the listing. Each jewelry piece was purchased by KBShimmer, and this contest is not sponsored or affiliated with JewelryTV. I hope you were able to order during that period but if not, they are obviously fantastic shades and worthy of your purchase! 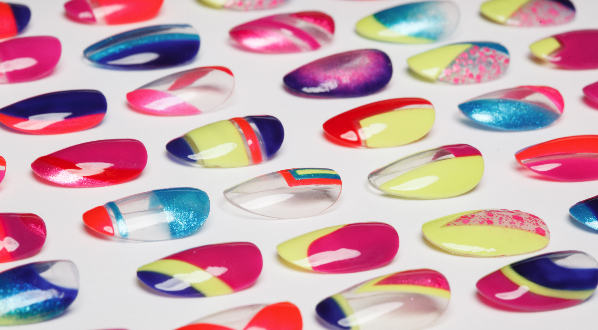 KBShimmer Nail Vinyls used for nail art.